He knew he was at risk for heart problems. 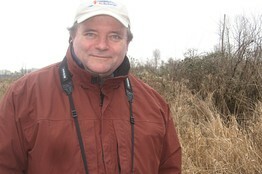 ‘I’m a fat guy, and over the years, I’ve become more sedentary,’ says the 62-year-old journalist in Yelm, Wash., though he had been trying to walk more and eat less lately. He decided to go to sleep and woke up thinking, ‘Thank God, I dodged that bullet'” But an hour later, the pain returned, worse than the night before,” quoting the Wall Street Journal. Read Smith’s story in his own words, in The Mountain News. Read more from The Mountain News. Klein has known Bruce Smith for many years and features stories periodically from The Mountain News here on this Blog. By Bryan Johnson on KOMO-TV 4. YELM: BLUE WATERS ACUPUNCTURE EXPANDS! WE HAVE MOVED OUR OFFICE AROUND THE CORNER!! WE ARE GROWING AND WE HAVE MOVED INTO A NEW SPACE THAT WILL ALLOW US TO IMPROVE OUR CURRENT LIMITED PARKING SITUATION AND IT WILL ALLOW US TO BE ABLE TO HELP MORE PEOPLE. IT’S IN THE CLOCK BUILDING OFFICIALLY KNOWN AS TIMES SQUARE BUSINESS PARK. LOOK FOR OUR SIGN ON THE MARQUEE. FIRST STREET SOUTH IS ALSO 507 WHICH GOES FROM THE MAIN INTERSECTION IN TOWN TO RAINIER. COME LET ME HELP AND GUIDE YOU AS YOU EXPLORE THE POSSIBILITIES OF OVER TWENTY CENTURIES OF MEDICINE IN CONTINUOUS USE AND HOW IT MAY BE ABLE TO HELP YOU OR THOSE YOU CARE ABOUT. TELL BLUE WATERS ACUPUNCTURE CENTER YOU READ ABOUT THEM ON THE YELM COMMUNITY BLOG! Posted by Steve at 5:50 am | Permalink | Comments Off on YELM: BLUE WATERS ACUPUNCTURE EXPANDS! The Yelm Food Co-op opened in their new location Friday, April 27th in Gordon’s Garden Center. “The Yelm Cooperative is pleased to announce that plans are well underway for a 2012 season Farmers Market in Yelm. We are in the final stages of site selection with the city, and outreach has begun for vendors, volunteers and sponsors,” quoting the Yelm Food Co-op. This Right of Way Use Agreement (“Agreement”) is made and entered into this 8th day of May by and between the City of Yelm (“Yelm”) and the Yelm Cooperative (“Yelm Co-op”), a Washington non-profit corporation. 2nd Street shall be closed between Mosman and McKenzie Streets from 8:00 AM to 7:00PM each Sunday between May 27 and October 28, 2012, EXCEPT for June 24, 2012, for the purpose of holding a farmers market sponsored by the Yelm Co-op. A farmers market in the city of Yelm provides a place where local growers and artisans can offer their fresh and locally grown produce and crafts for sale. A farmers market is not for the purpose of reselling farm products nor for selling used or household goods. “Some soldiers from Joint Base Lewis-McChord have been forging ties with female villagers who are normally almost invisible to outsiders. As reported from Afghanistan by The News Tribunes Adam Ashton, female engagement teams fielded by Lewis-McChord battalions are serving as liaisons between the U.S. military and Afghan women. Among them are Sgt. 1st Class Laurie Eggleston of University Place and Sgt. 1st Class Elizabeth Wages of Yelm, who manage the effort on behalf of the 3rd Brigade, 2nd Infantry Division. The annual Nisqually Valley Home, Garden and Trade Show is this weekend at Yelm High School, April 28-29. Ciscoe Morris from Seattle’s “Gardening with Ciscoe” show (oo-la-la) and a “Yelm’s Got Talent” contest are featured. Hand’s On Children’s Museum available both days. The Weekly Volcano (Tacoma and Olympia’s only edgy, irreverent and thought-provoking alternative newsweekly) provided a terrific write-up of this weekend’s Yelm events. “Richard Lee Peace, 51, was being held Friday at the Thurston County Jail on suspicion of one count of vehicular homicide. His bail is set at $200,000. Donald R. Moore, 58, was walking on the right shoulder of state Route 507 near Binghampton Drive about 9 p.m. Wednesday when a driver crossed over the fog line and hit the pedestrian from behind, said Trooper Guy Gill. Read more from Jeremy Pawloski in The Olympian. 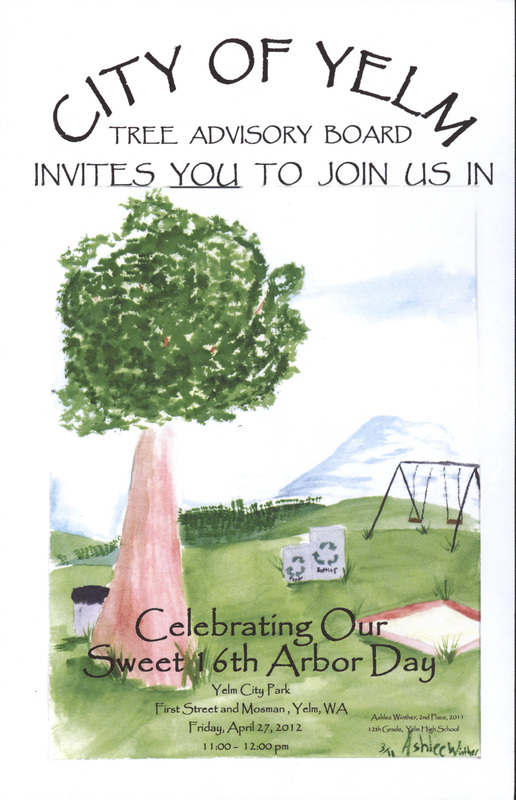 Yelm’s Arbor Day celebration will be at 11am on April 27 at Yelm City Park. Founded by J. Sterling Morton in Nebraska in 1872, National Arbor Day is celebrated each year on the last Friday in April. Washington State’s Arbor Day is the second Wednesday in April. “The National Arbor Day Foundation has published a new hardiness zone map, based on climate data from the past 15 years, that clearly shows the warming trend across the country,” quoting the National Arbor Day Foundation website. Won’t you donate a tree to our town by sending a check to Yelm City Hall for Yelm’s Tree Fund! On March 27, 2012 the Yelm City Council had the final Library purchase agreement on their agenda, yet removed it just prior to the council session. The following week, the public was informed via the local newspaper that the library purchase was postponed to fix contract wording. Tonight marks one month since the library purchase agreement was pulled and still no official word form the mayor or city council on why. We only learned about a two-week postponement via the newspaper. – Why was the library agreement redacted from the official council record on March 27th without public disclosure? – The mayor & city council have a fiduciary responsibility in communicating agenda changes to the public, even those just prior to a meeting. – Why did the public learn of this omission via the newspaper instead of the city council meeting? – The local newspaper is not the journal of council proceedings nor the public record of the council’s agenda, according to state law. WHAT DO YOU THINK ABOUT THE YELM CITY COUNCIL’S LACK OF PUBLIC DISCLOSURE? WHY HAVE WE HEARD NOTHING ON THIS HERE? “Public comment is currently being accepted on a draft Air Operating Permit (AOP) for the Aquatic Company (Aquatic) located at 801 Northern Pacific in Yelm, Washington. This renewal process is pursuant to Title V of the federal Clean Air Act and Chapter 173-401 of the Washington Administrative Code. This is a draft of the AOP renewal that will be in effect for five years. Aquatic, formerly Lasco Bathware Inc, is a reinforced plastics manufacturing facility that produces bathtubs, showers, spas and other bathware products. This will be the third renewal of the AOP for this facility. Aquatics Yelm facility requires an AOP because it has the potential to emit major quantities of volatile organic compounds as well as the compound styrene, which is a hazardous air pollutant. Click here for the draft AOP renewal and the associated draft Technical Support Document (TSD) for Aquatic. Comments may be submitted to ORCAA in writing. Written comments should be addressed to: ORCAA, 2940-B Limited Lane NW, Olympia, WA 98502, and will be accepted up to close of business on April 25, 2012. Posted by Steve at 6:23 am | Permalink | Comments Off on WHY HAVE WE HEARD NOTHING ON THIS HERE?